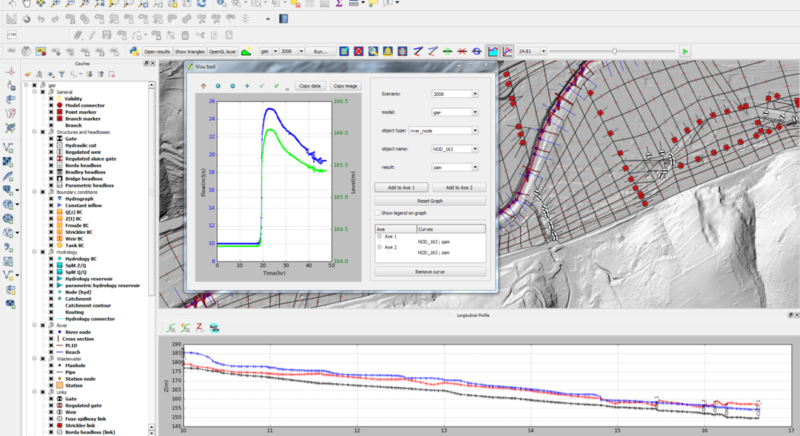 Oslandia supports Hydratec in the overhaul of their simulation code for urban and river hydraulics. 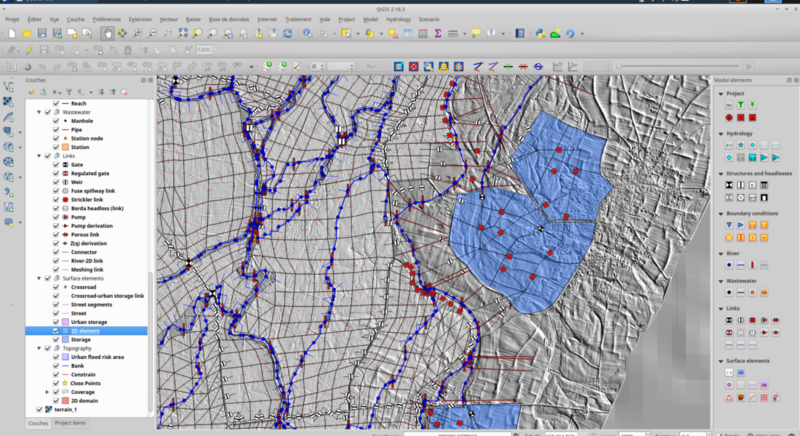 Creation of a GIS-friendly data model. 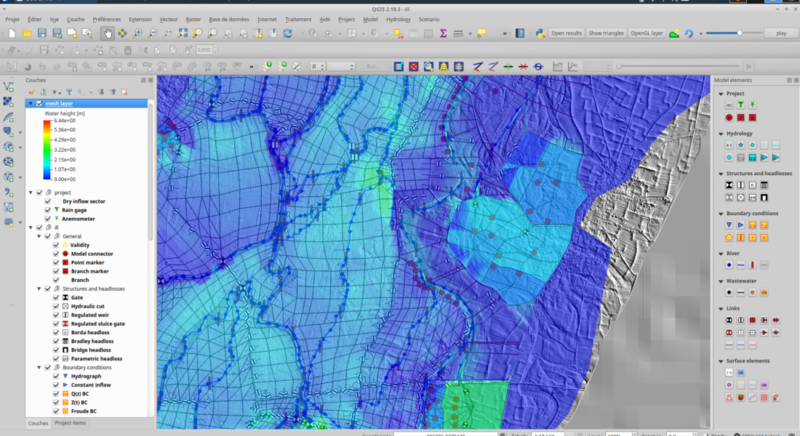 QGIS used as the graphical pre and post-processor: meshing, dynamic water level mapping, longitudinal profiles and time variation graphs.